If you are on your iPad, you will get the option to "open in Procreate"
I found some great Free Procreate brushes here! I hope you enjoy those brushes. Come back soon as I will periodically swap some of these out for some new free brushes. More importantly...I want to see what you paint with them so tag them on social media with #grutbrushes and I will find them. I will feature a few in the GrutBrushes Gallery which is currently all Photoshop GrutBrushes, so lets see what you can do in Procreate! If you are too shy to share on social media, email me your artwork...Id love to hear from you! I want to know what you think of my brushes, critical feedback is always welcome! With about 32 Procreate brushes now, It will be a while until there are enough Procreate brushes of one type to make up a set, let alone multiple sets. get every new Procreate brush that I create for the next 6 months! For the next 6 months you will be able to download ALL the latest GrutBrushes Procreate Brushes...and all the old ones too! Every single one, regardless of medium! Browse all the Procreate Brushes, on demand, and with a few taps, install them right onto your iPad! Hurry, because the price will increase steadily as the amount of brushes increases so get in now while it's a steal! Want to send me some instant feedback? Just record your message below. Anonymous comments are fine but if you need a response make sure you enter your email address! Your comments may be heard and replied to publicly in a future blog post or YouTube video. Any critical feedback is always appreciated. Thank you! Q: Can I use these brushes in Photoshop? A: I wish! These brushes only work in the Procreate app on the iPad and absolutely nowhere else, and they can't be converted to any other app either. Procreate has it's own wonderful, but proprietary brush format that is not compatible with any other digital painting apps. That's what makes it so unique. Q: Are these the same as the GrutBrushes Art Brushes for Photoshop? A: no, they are totally new brushes, unique to this set. Procreate has it's own brush format that is not compatible with any other app and it can't import other apps' brushes. Q: How do I download the brushes? A: You will get access to all the brushes in the members area here It has all the brushes in a sortable list, each with a download button. If you browse to that page from your iPad you can just click on the blue download button, choose "open in Procreate" and the brush will magically appear in Procreate, ready to use. You can also download them ALL in one big set (.brushet file) The members page looks very much like the Free Procreate brushes above but it will have a lot more brushes and more will be added every week. A: There are only a few right now (About 32, including the free ones above) but I will add more every week. That's why the price is so low but it will increase as the amount of brushes goes up. I have no idea how many there will be in 6 months but my guess is at least 60...but no promises! Q: What are the star ratings about? Q: I don't like these. Can I get my money back? Q: Can I download them all at once? Q: Are these available for Photoshop? My prime expertise is in Photoshop brushes, and I am still getting to know the Procreate brush engine. I think it took me about 2 years to really get to know the ins and outs and secret hideaways of the Photoshop brush engine and while I am applying all that knowledge to my Procreate brush-making I expect my Procreate brushes to get better and better over time as I get to know the brush engine better and as the Procreate team improves it. How good are the brushes now? Try the free ones and let me know what you think. I hope you will get in on this journey, I expect it will be rewarding! 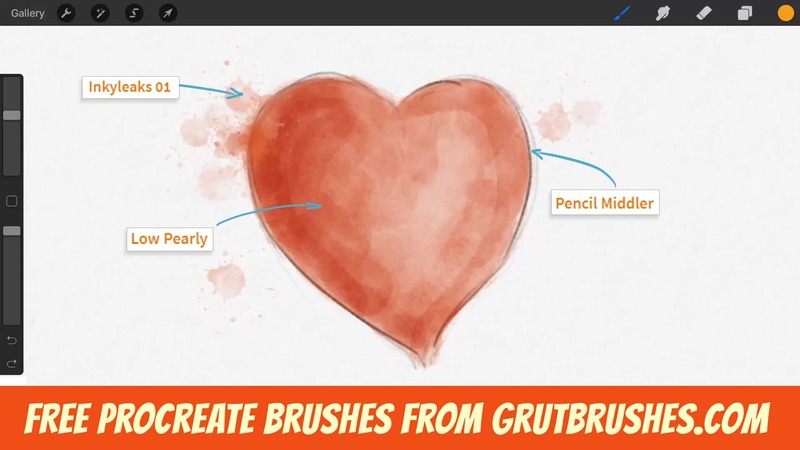 You are seconds away from accessing all the Procreate brushes on the GrutBrushes site today and for the next 6 months! Get in now before the price goes up! More Procreate brushes are added to the collection every week! oh! How do you use them to animate in Krita?